Construction loans are very different from your "traditional" loan. A traditional home loan is a mortgage on an existing home. In contrast, a construction loan is underwritten to last only the length of time it takes to construct a new home. This is approximately 12 months on average. In that time, the borrower is given a line of credit up to a specified amount. From there the borrower submits "draw requests" to the lender and only pays interest as the loan ages. 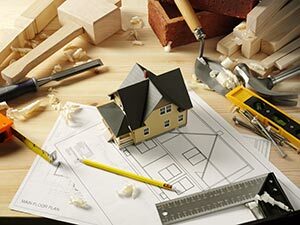 Eventually, after the borrower's construction loan has funded the home's construction, a mortgage will then need to be placed on the home, which will pay off the construction loan. Confused yet? Don't let its complexity scare you from taking advantage of building the home of your dreams. Skyline has an array of construction loans that could be the perfect solution for you! If you're looking at building a home in San Diego, let's get the process started!